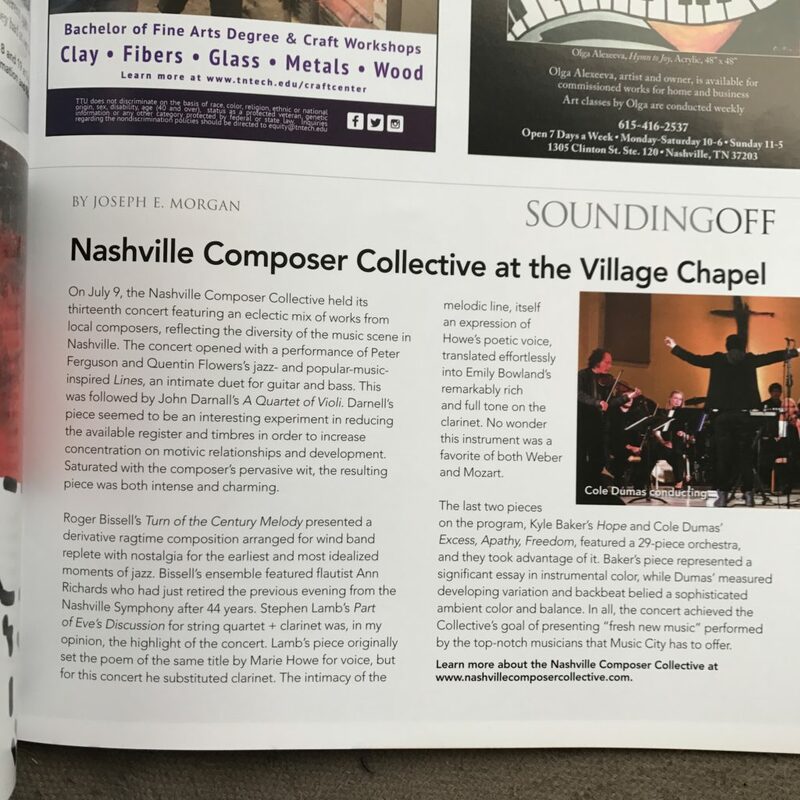 Thanks to Joe Morgan and the Nashville Arts Magazine for the nice review of last month’s Nashville Composer Collective concert! This entry was posted in Orchestral. Bookmark the permalink.